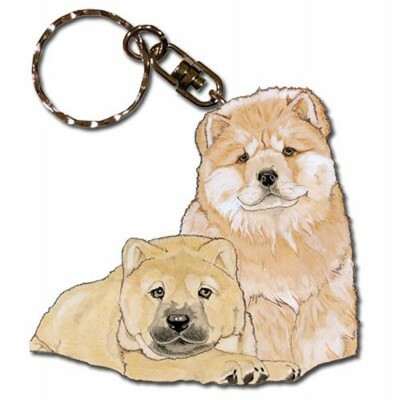 Chow Chow Wooden Keychain – Tan/red in color. One Chow has smooth hair, the other Chow is long haired. 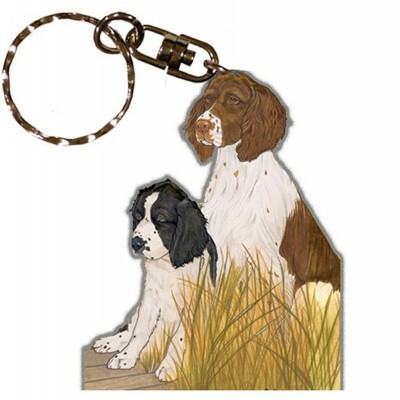 English Springer Spaniel Wooden Keychain – One adult brown/white English Springer Spaniel sitting with a puppy black/white spaniel. 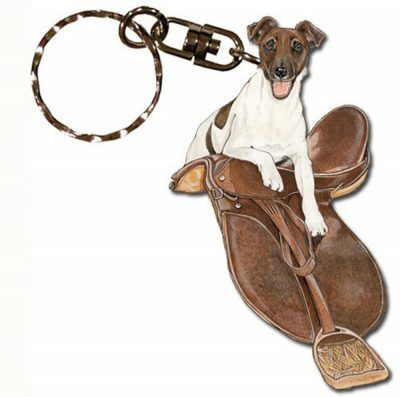 Fox Terrier Wooden Keychain – One adult brown/white smooth coat Fox Terrier being mischievous on a horse saddle. 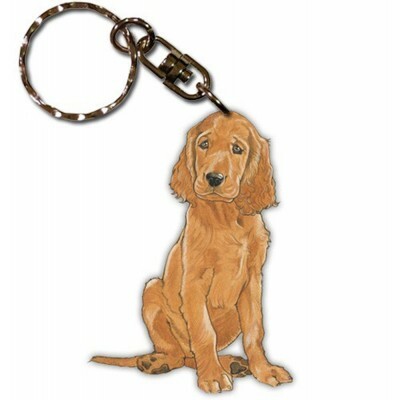 Irish Setter Wooden Keychain – Adult Irish Setter illustrated in their classic brown/red color sitting calmly. Pointer Wooden Keychain – As we all know the Pointer is bird dog. 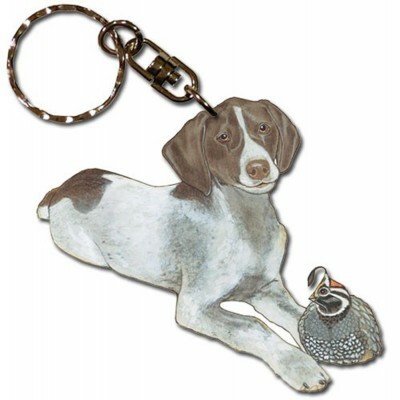 This keychain illustrates a brown/white adult Pointer laying next to a bird. 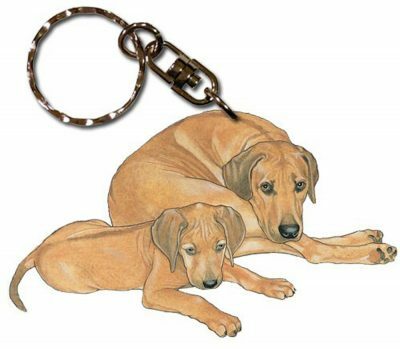 Rhodesian Ridgeback Wooden Keychain – The Rhodesian keychain is illustrated with a brown/tan colored Adult Rhodesian Ridgeback laying next to a puppy Rhodesian.